When does a piano need reconditioning or rebuilding? What work is included in reconditioning? What work is included in rebuilding? How do I arrange for these major repairs? A piano not only serves the art of music, it is a work of art itself. A wonderfully complex machine, it has thousands of moving parts, a framework and soundboard supporting tremendous string tension, and beautifully finished cabinetry. Although remarkably durable, pianos are subject to deterioration with time and use. Felt wears, strings break, wooden structures weaken and crack, and the exterior finish loses its beauty. Regular service and periodic action regulation can compensate for minor wear, but heavy or extended use -- especially when combined with wide seasonal humidity swings -- can eventually cause severe deterioration. Today, many high-quality older pianos exist in various stages of wear. Because it happens so gradually, this wear often goes unnoticed, leaving many pianos operating far below their potential. In extreme cases, some older pianos are simply left unplayed because of their poor condition. Reconditioning is the process of putting a piano back in good condition by cleaning, repairing, and adjusting for best performance with parts replacement only where necessary. This is most appropriate for a piano with only moderate wear or those of medium value with average performance requirements. Reconditioning does not involve replacing major components such as the soundboard, bridges, pinblock, and most action parts. This means the performance and life-span of an older piano will not be restored to new. Instead, reconditioning is designed to improve a piano's performance, keeping in mind both costs and benefits. Rebuilding involves complete disassembly, inspection, and repair as necessary, including replacement of ALL worn, damaged, or deteriorated parts. This piano is then reassembled, tested, and adjusted to the same or similar tolerances as new. 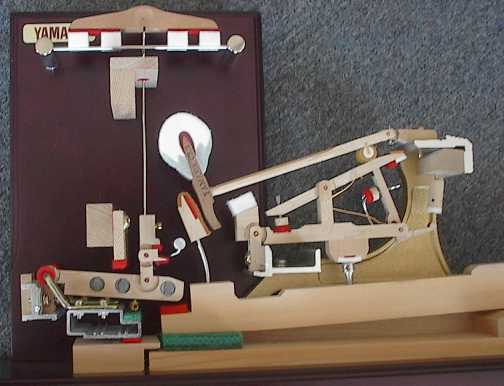 COMPLETE REBUILDING includes the entire pianos structure -- including soundboard, bridges, pinblock, and strings -- as well as the action, keyboard, and case refinishing. PARTIAL REBUILDING includes only one or two of these areas, for example rebuilding of the action and structure, but not case refinishing. Rebuilding restores the piano to original condition or better. Such comprehensive work is usually most practical for high-quality instruments here maximum performance and longevity are required. In the short term, leather and felt compact, affecting the adjustment (regulation) of the parts. The action becomes uneven and less responsive, and the piano's tone loses dynamic range. Squeaks and rattles may develop. Routine maintenance such as hammer filing, regulation, voicing, and tuning will correct these problems and maintain the piano in near-new condition. After extended or very heavy use, action parts become severely worn. Leather and felt wear thin. Keys become wobbly, hammer felt gets too thin to produce good tone, and the action becomes noisy. Regulation adjustments reach their limit. In addition, piano strings may begin breaking and the copper windings of bass strings lose resonance. After decades of exposure to seasonal changes, the wood of the soundboard, bridges, and pinblock is weakened. This causes loose tuning pins, poor tuning stability, and further loss of tone. By this time the piano's finish will often be scratched or faded. Most pianos can be played for many years without major repairs. However, the tone, touch, and appearance will continually decline with age. When regular maintenance such as cleaning, regulating, voicing, and tuning can no longer provide satisfactory performance, a piano may require reconditioning or rebuilding. Exactly when a piano needs rebuilding or reconditioning depends on its original quality, the climate, usage, and performance requirements. One piano may need rebuilding after just twenty years, while another may need only reconditioning after fifty years. The best way to decide is to seek out a qualified piano rebuilder with the judgment, experience, and expertise to advise you on such an important decision. If your Registered Piano Technician does not offer rebuilding services, ask for referrals. 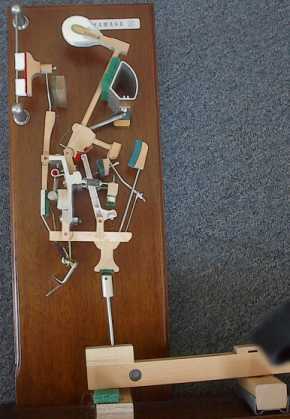 The overall condition of the piano. Can it really be restored to original condition or is it deteriorated beyond repair? Pianos subjected to severe fire, flood, or moving damage may not be repairable. The quality, size, and type of the piano. Low priced, small pianos of poor design have limited potential. If the rebuilt piano would not be capable of meeting your performance needs, it would be better to replace it with one of better design. The cost of repairs versus replacement. Major repairs may exceed the value of small low-quality pianos. However, most large high-quality instruments can be rebuilt for one-half to two-thirds the cost of a comparable new piano, making rebuilding a cost-effective option for fine pianos. Repair or replacement of damaged parts as needed, typically including such jobs as felt replacement, hammer filing or replacement, and partial restringing. Adjustment, regulation, tuning, and voicing to return all parts to proper function, reduce mechanical noise, and improve tone. Complete disassembly of the instrument. Repair or replacement of soundboard, bridges, and pinblock, as well as repair of any structural damage to the case. Replacement of all strings and tuning pins. Thorough restoration of action and damper system, including replacement of hammers, many action parts, springs, and most felt. Rebuilding of the pedal and trapwork system, including replacement of all worn felt, leather, and metal parts. Refinishing of case and plate, polishing or replating of all hardware, and replacement of all decals, felt trims, and rubber buttons. Complete action regulation, tuning, and voicing. Multiple tunings to stabilize new strings. If you suspect that your piano needs major repairs, have a complete evaluation done by a qualified piano technician who specializes in rebuilding. Discuss costs versus benefits of various repair options, and whether the completed piano would meet your performance requirements. Most rebuilders will provide you with a written proposal. Expect to pay a modest fee for this service. You may want to visit the rebuilder's shop to inspect other work in progress, or ask for a reference list of past clients. Checking out similar jobs will give you a sense of how your instrument could be improved, as well as a feeling for the technician's workmanship. When you decide to proceed with major work, be sure to ask for a written contract. This enables you to know exactly what will get done to your piano and the associated costs, estimated completion date, payment method, and guarantee policy.